Damage from earthquakes is not covered by a standard homeowners policy. Similar to flood insurance, earthquake insurance must be purchased separately. 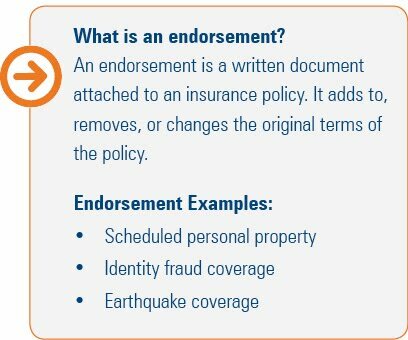 Earthquake coverage can be added as an endorsement on your homeowner policy or purchased as a separate policy. Many insurance companies have specific enrollment periods for earthquake coverage. If you choose not to add the coverage when you purchase a homeowners policy, you may need to wait until your policy renews to add the coverage. 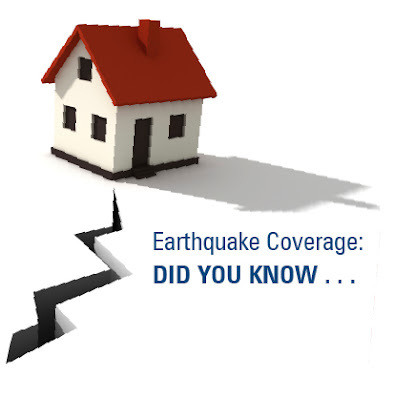 If the insurance company has specific enrollment periods for earthquake coverage, you may receive an offer for the coverage with your renewal policy. This coverage is typically offered every other year. Attach cabinets to the walls and floors to prevent them from falling over and to keep their contents safe. Consider using shatter-resistant Teflon® fluorescent lights or install plastic sleeves over the light tubes to keep glass from scattering if they break. Secure heavy equipment such as TV’s and computers to the furniture on which they are placed. For more ideas, check out www.DisasterSafety.org. How will earthquake coverage help? If you have a typical home loan and deed of trust, you will remain responsible for the loan balance even if your home is damaged or destroyed by an earthquake. The deductible and amount of coverage available for earthquake damage vary by state.